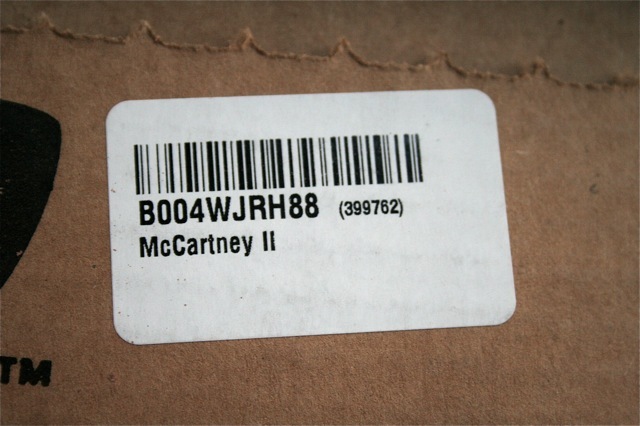 I’ve been very patiently awaiting the arrival (from Amazon in the US) of my copies of “McCartney” and “McCartney II“. I’d ordered the Deluxe hard back book versions of both titles, along with the 2 LP set (got to have the vinyl! ), and the Special Edition CD packs as well. (I had already purchased locally the single CD versions which are only being released in certain markets). These were all ordered online on May 24th. They were officially released on June 14th, and then had to make the LONG journey via the postal service down under to Australia. I didn’t receive them until last week – on July 12th. That’s almost a two month wait…. As they they were very heavy, I got a notification in the mailbox that had to collect them from the local Post Office. I’ve got to admit when I saw the box my heart sank. As you can see below it was pretty bashed around. On that two month journey it had clearly been thrown around and had frequently been at the bottom of piles of other packages. 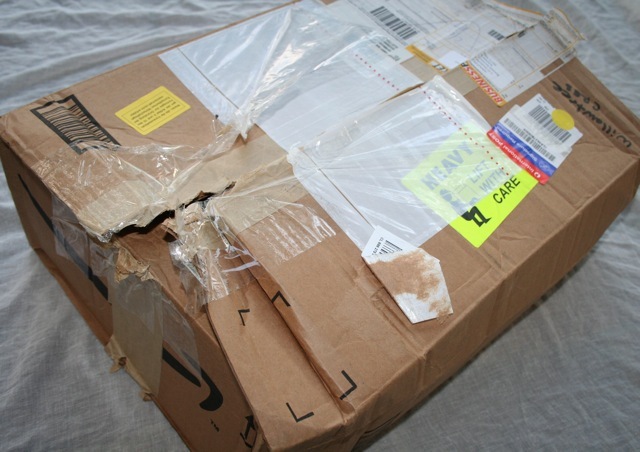 Postal workers obviously don’t have much regard for “Fragile” and “Handle With Care” stickers. I was particularly worried about the two LP sets in there. They are the most fragile. Could they have survived intact? 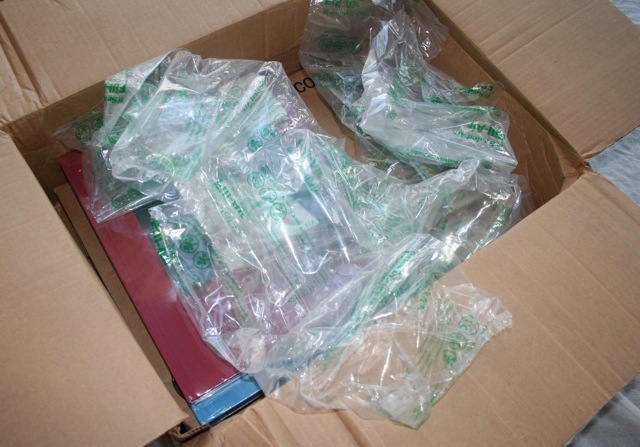 Thank goodness Amazon had individually sealed the LPs in their own special LP mailers and this really helped. There were two of them, essentially sitting in their own protection at the bottom of the box. The strong cardboard mailers had done a great job of protecting the most fragile of the contents. 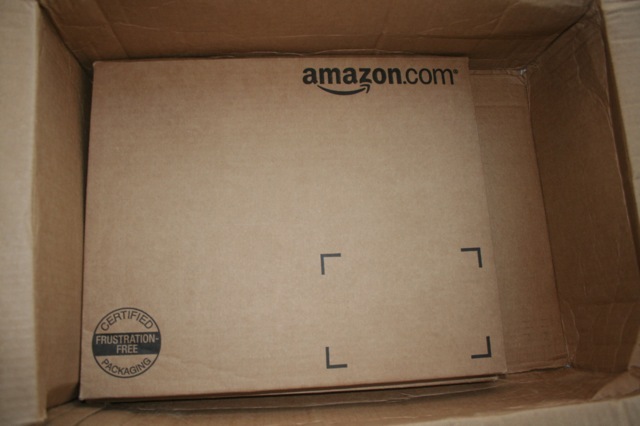 Thanks Amazon! 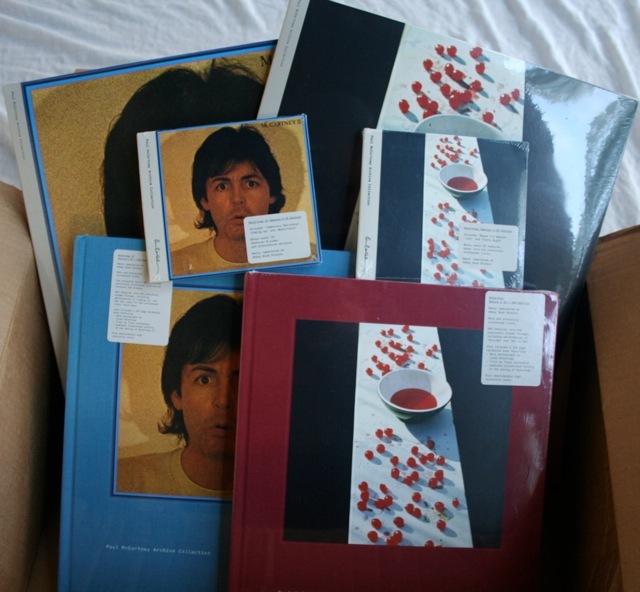 So, I now have a complete set of the new McCartney releases. Safely, but only just, delivered half way around the world. 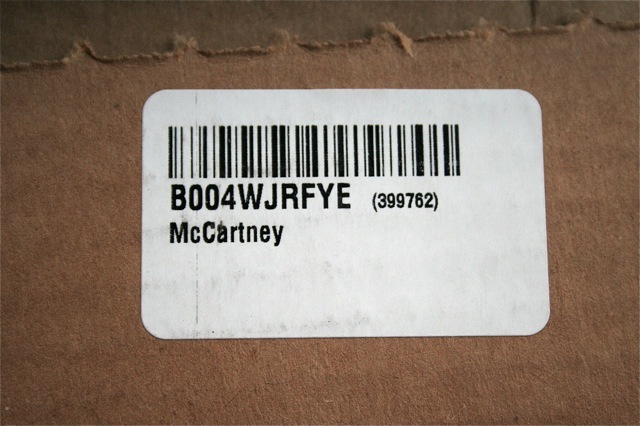 This entry was posted in Beatles, Beatles Collecting, Beatles Music, Beatles Related, Paul McCartney and tagged Beatles, Beatles Collecting, Beatles Related, McCartney II, Music, Paul McCartney by beatlesblogger. Bookmark the permalink. I already have all 3 deuxe hard book editions and today I’ve received the LPs from Amazon US, too. 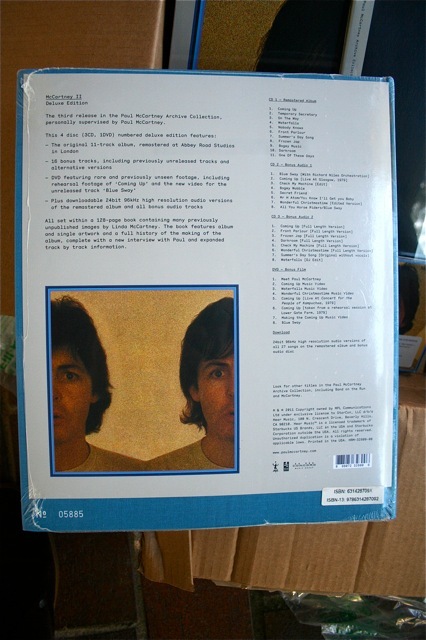 I must say I’m highly disappointed with the Band on the Run LP set. I’ve bought it new and it came factory sealed, with the sticker. 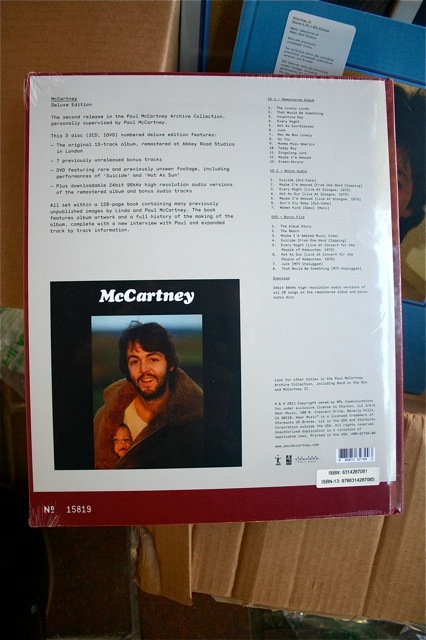 But the inner sleeves are damaged and have some glue on them. They were probably put inside the cover right after it was assembled. Both were too tight and difficult to take out. But it gets worse: the regular, studio version of Country Dreamer has a very deep and visible scratch. It doesn’t affect the playing but it’s really sad for people like us, who take a good care of this kind of collector’s item, to get a factory sealed item in such bad shape. I may try to contact Amazon to see what they can do, but when I think about sendind it all the way back to USA so they can send me another is really disencouraging (I live in Brazil).